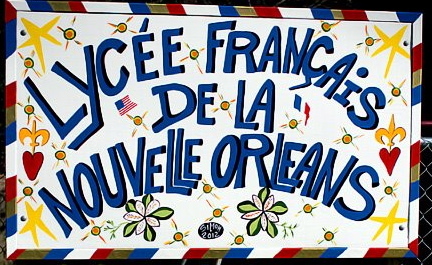 Lycée Français de la Nouvelle-Orleans charter school needs a new chief executive and new board members. That’s according to a report released Sunday by Jeremy Hunnewell, a management consultant hired by the Louisiana Association of Public Charter Schools to help the school overcome political and financial turmoil that has plagued it in the last year. “Lack of leadership is at the root of nearly every issue” stakeholders shared with Hunnewell’s team at EMH Strategies, the three-page report says, before going on to detail a formal search process that aims to land a new CEO/principal at the school by April 30. The report is expected to be formally shared with the board during a special meeting scheduled for 6:30 p.m. tomorrow at the school’s Patton Street campus. have, the appropriate school leader,” Hunnewell’s report states. State Superintendant John White in December called upon the charter schools association to hire Hunnewell’s company to aid the 340-student French curriculum school following months of outcry by a vocal group of parents who are unhappy with many board member decisions, particularly those related to hirings and firings. In its second year, the school has lost two principals. Now, Hunnewell is recommending the board empower him to select a CEO search committee that would be in place by the end of February. “We anticipate being able to secure a qualified school leader in 60 days,” the report states. To increase transparency, Hunnewell recommends the board meet with final CEO candidates in a public setting. The board was criticized in December after board president Jean Montes announced he had hired an interim CEO for the school prior to a board vote and without posting the position. Hunnewell also suggests a CEO description that lists a master’s degree among its required qualifications — and a doctorate, National Board Certification and French Ministry of Education certification among its “preferred” qualifications. Though a group of parents calling themselves the “Rebuilding Trust Work Group” in January called for two board members — Montes and Paige Saleun — to resign or recuse themselves amidst a pending lawsuit, the report did not offer any recommendations in regard to specific board members. Hunnewell also outlined a detailed timeline that calls for the board to begin publicly discussing adding new board members at a mid-March meeting. Attorney Robert Rachal, who represents the Rebuilding Trust Work Group, said he felt the report showed some progress, but lacked in other areas. “It had positive stuff on the side of governance going forward,” Rachal said. But he said he was concerned that it lacked specifics. “It doesn’t have any concrete recommendations to fix the problems that are there now,” he said. Josh Reyher, a parent of two Lycée students, said he thinks the report offers steps in the right direction. “I think they are being proactive in getting the CEO search going now,” said Reyher, who was among more than 60 who last month signed a letter in support of the current administration and lauding the board’s quick hiring of interim CEO Gisele Schexnider. Lycée has already spent $10,000 on training with The High Bar, an organization that supports charter school boards with training and resources. Board members attended a High Bar training session in October. Members planned to pay for the expense out of pocket, but as of Jan. 14, only $4,000 had been reimbursed to the school. The High Bar offers training in open meetings law, something the board has struggled with in the past. Earlier this month emails released to The Lens revealed board members had violated the open meetings law by conducting business by email in their efforts to oust then principal Jill Otis. The board also danced around the law in December when it strategically removed half of the board to drop below a quorum and shut the press out of meeting. Monday’s meeting agenda lists one fewer board member than last month. Hema Banangada resigned earlier this month citing other commitments, according to Mike Pinkerton, a volunteer who is helping the board respond to public records requests. According to the agenda the board will hear from Hunnewell and then accept his report, and also accept the process and CEO job description.